Kate Folk's stories and essays have appeared in McSweeney's Quarterly, The New York Times Magazine, Zyzzyva, One Story, Conjunctions, Granta, and lots of other places. She has completed a story collection, Doe Eyes, and is currently at work on a novel about artificially intelligent limbs and a clandestine service that allows people to outsource their unpleasant emotional labor. ​Kate is a 2016-19 Affiliate Artist at the Headlands Center for the Arts, and has been awarded fellowships from the MacDowell Colony, the Vermont Studio Center, the San Francisco Writers' Grotto, and the Virginia Center for the Creative Arts. She holds an MFA from the University of San Francisco and a BA from the Gallatin School at New York University. Currently, Kate works as a college English instructor and edits fiction for Joyland Magazine: The West and the quarterly journal Your Impossible Voice. Born and raised in Iowa City, she's lived in San Francisco since 2008. 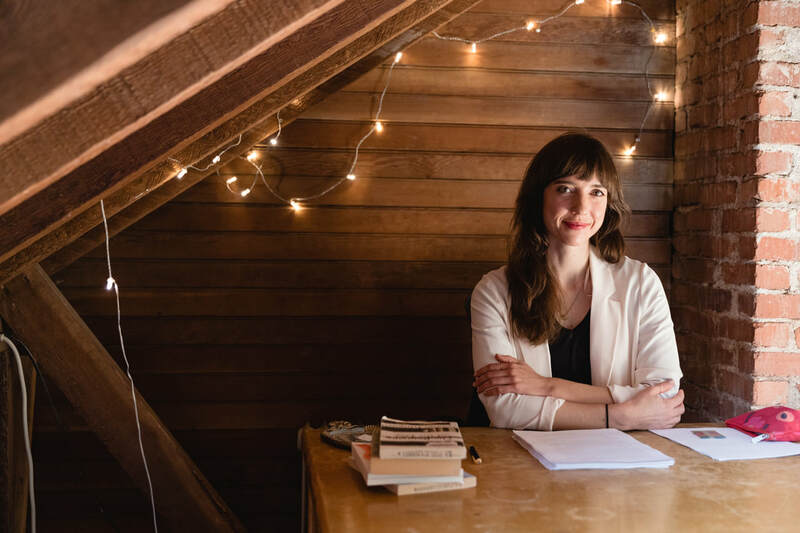 She was recently named a 2019-2021 Wallace Stegner Fellow in fiction at Stanford University.